Ashlee E. Dunham graduated from the University of North Texas (UNT) in December of 2003 with a B.A. in Philosophy. 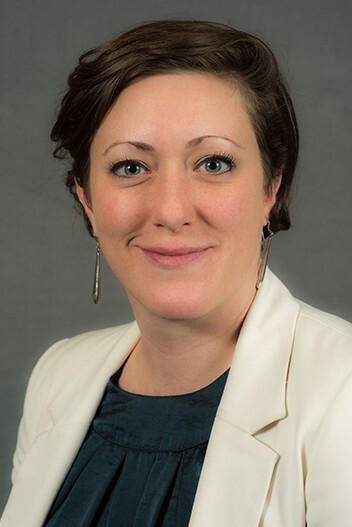 Having a passion for the protection of the environment, she pursued additional graduate work in Environmental Ethics from 2004-2006 at UNT, one of the nation’s top ten schools in the field. Ms. Dunham had always considered law school as a future path, even as a young student at UNT. In 2009, she was ready to pursue that path and began studying for her Juris Doctorate at South Texas College of Law in August of 2010. While in law school, Ms. Dunham was an active member of the Environmental Law Society, held the position of President of AMICUS Law Society for two years, twice earned the Amicus Achievement Grant, completed 155.5 hours in the Pro Bono Honors Program, and completed internships at the Texas Attorney General’s Office, the Harris County District Attorney’s Office, the Office of the Houston City Attorney, the Houston Museum of Fine Arts, and two personal injury firms. She graduated from South Texas College of Law in May of 2013, was awarded the Emerging Leader Award by Stonewall Law Association of Greater Houston (SLAGH), was elected At-Large Director for SLAGH, took the bar exam, and became a licensed attorney in the State of Texas on November 1, 2013. Ms. Dunham solidified her experience in personal injury both during and following law school while interning for Nielsen & Mukerji and The Merman Law Firm. She was hired as an associate attorney by The Merman Law Firm following her bar passage and continued to develop in the areas of personal injury, civil rights, and mass torts. Ms. Dunham began working for Barton Law Firm and The Luke Law Firm as an associate attorney to both firms in April of 2014, where she managed both pre-litigation and litigation dockets, handling civil rights cases involving excessive use of force by police officers, first-party bad faith insurance claims, mass torts, and personal injury matters involving bad pharmaceuticals, product defects, commercial motor vehicle collisions, toxic plant releases, premises liability, dog bite injuries, food poisoning, and catastrophic work injuries. Ms. Dunham is a passionate, diligent, hard-working attorney with an inherent sense of justice and a mind for utilizing procedure to build a winning case. She joined the Amaro Law Firm in October of 2016. In her spare time, she enjoys volunteering, surfing, kickboxing, and playing billiards competitively. South Texas College of Law, Houston, Texas, J.D.